Terrorist screening tactics need to constantly adapt to keep up with the changing landscape of security. Here are four tips for approaching terrorist screening. Terrorist screening needs to adapt just as quickly as terrorist tactics. These days, many terrorist attacks are targeted toward soft-targets like stadiums, train stations, or concert venues. Unfortunately, much of the response to this in terms of security has been the very traditional approach of hiring more security guards and requesting more law enforcement intervention. While this is somewhat effective, it leaves one to wonder if there are more sustainable, technology-involved approaches that would better resolve these issues. Today, we’re going to look at four ideas that ought to be kept in mind when it comes to terrorist screening. The fact is, certain situations call for different kinds of searches. 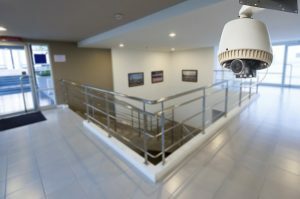 While a government facility with highly sensitive data and high-risk personnel may benefit from advanced driver cameras, other targets don’t require the same extensive response. This may seem like an obvious principle, but we should be more concerned about sophisticated weaponry rather than everyday objects like screwdrivers or razor blades that have the potential to be weaponized. As a general design principle for terrorist screening technologies, you don’t want to impede on the end-user in any significant way. Any kind of technology that slows down peoples’ daily commute is going to be perceived as being not worth the trouble. This is why something like a license plate reader works so well—you don’t need to be overbearing to effectively secure an area. The terrorist screening landscape has completely changed and it’s now the case that any location that draws large crowds could become a target for attacks. This is why it’s becoming important to increase security at all levels—you may not need the most robust system out there, but even minor modifications can be a part in preventing terror attacks and aren’t just effective at combatting domestic crimes like break-ins or theft. In some instances, it’s not a big deal when there’s a big lapse between the development of new technology and users actually switching away from their legacy tech—for instance, many businesses still rely on older Point of Sale software because the cost of upgrading may not currently be worth it. When it comes to security, it’s critical that we use technologies that are able to be modified or swapped out when a better technology comes along. This entry was posted on Friday, January 25th, 2019 at 3:20 pm. Both comments and pings are currently closed.